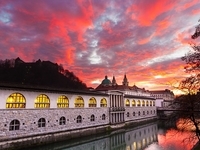 Travelers are voting Ljubljana Central Market as the best shopping / nightlife in Slovenia. Want more? Check out our map of shopping / nightlife in Slovenia or this 1 shopping / nightlife in Ljubljana.